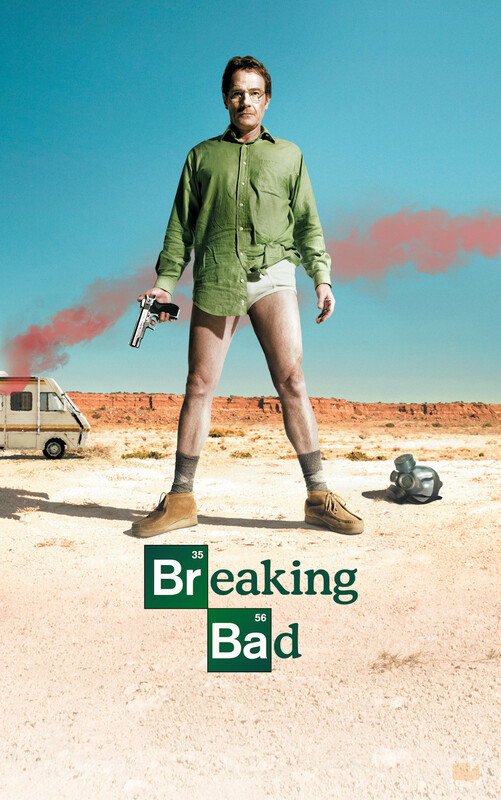 Totally spoiling the fact that evil machinations will triumph over decency, here’s a poster to remind you Breaking Bad is ending, its creators having cruelly ignored your pleas to abandon their reckless, power-mad path to narrative closure. If there’s one thing differentiating it from past season promos—besides the feelings of denial and grief it provokes—it’s the complete absence of Walter White. Before, you could trace Walter’s evolution from desperate to pragmatically cautious to dangerously volatile to KING OF ALL THE CASH AND STARING CONTESTS. 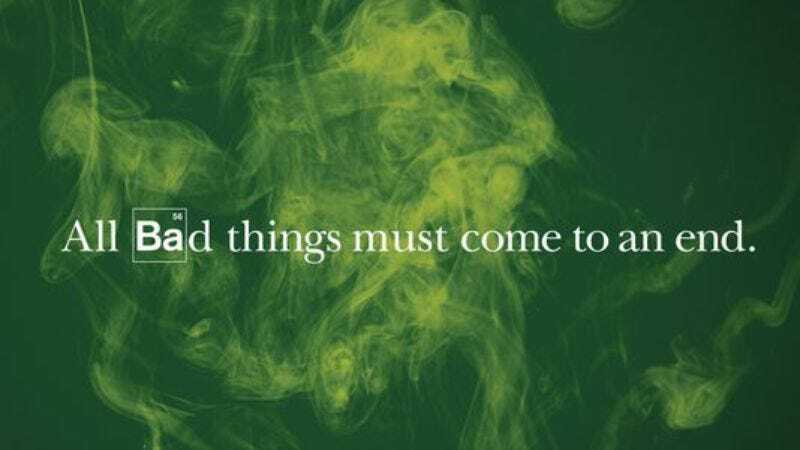 Now that "all bad things" are coming to an end, Walter is notably absent, replaced by an ominous cloud of smoke that, presumably, everything is going up in. We’ll leave it to you to determine what that smoke is and what it means: Gun smoke, indicating a violent end? Meth smoke, indicating continued happy profits? Monster smoke, indicating a Lost crossover? 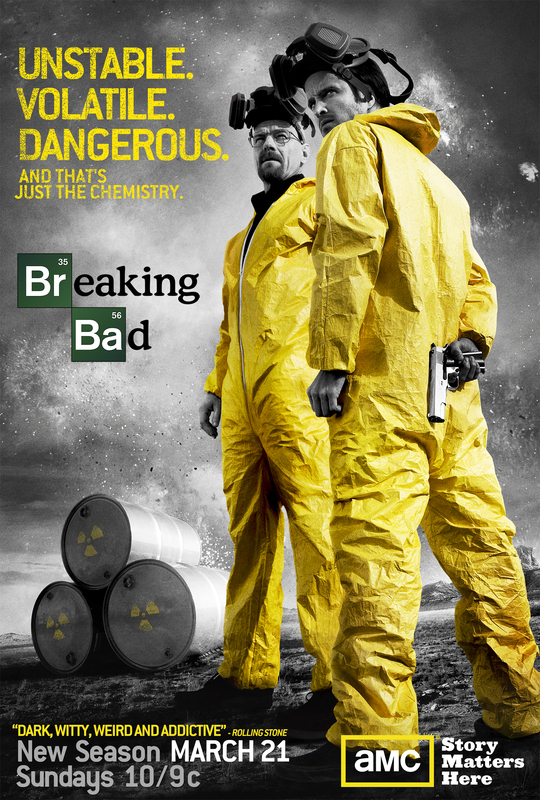 Or maybe the series ends with Walt and Jesse et al. enjoying a well-earned day of relaxing aromatherapy. 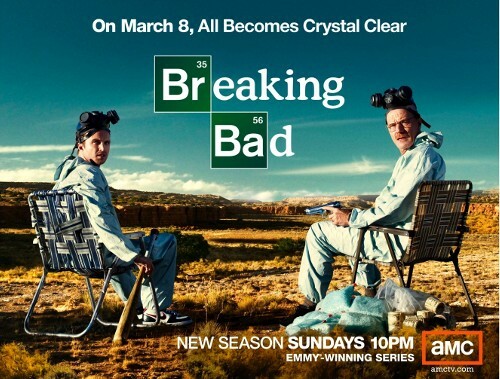 You’ll find out soon enough, because Breaking Bad is ending.